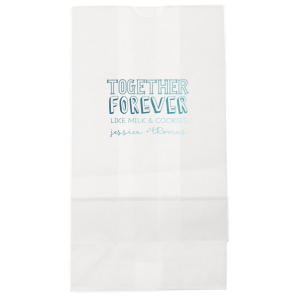 Design your own customized wedding lunch bags to fill with wedding favors. 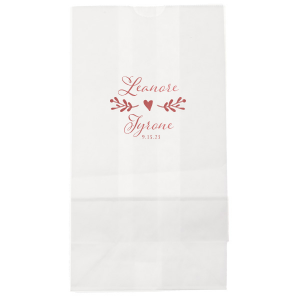 Choose from a curated library of designs and foil stamping color options to create the perfect personalized wedding lunch bags. 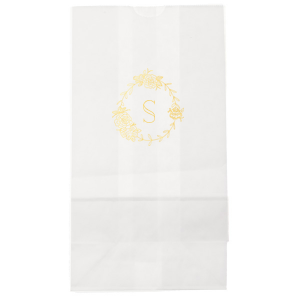 Impress your guests with your attention to detail by gifting wedding favors in unique personalized wedding lunch bags. 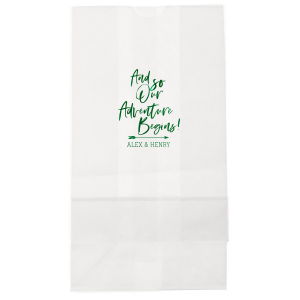 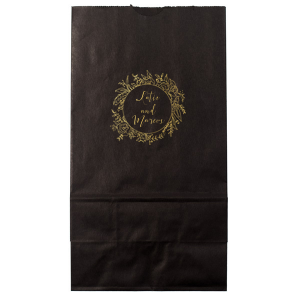 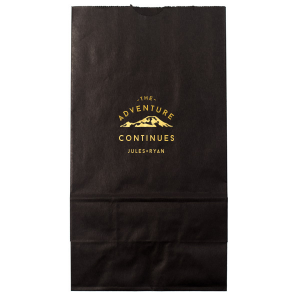 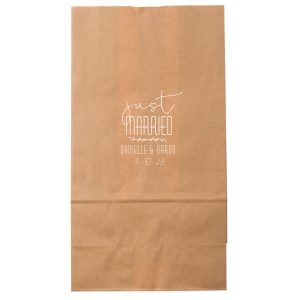 Use your custom designed wedding lunch bag as a wedding welcome bag for out of town guests, or to package wedding favors at the end of your big day. These paper bags are perfect for wedding favors and can be customized to match your theme. 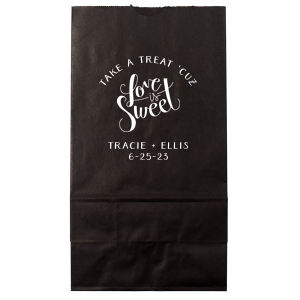 Choose a design that expresses a sentiment like “love is sweet, take a treat,” or upload your personalized wedding monogram or design. 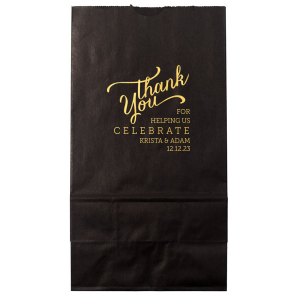 Use the FYP Customizer to choose from dozens of foil stamping color options and designer created graphics. 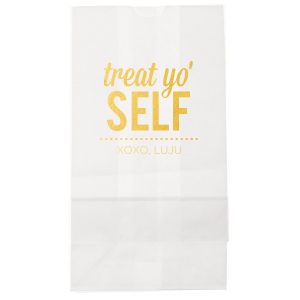 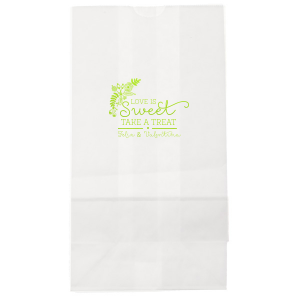 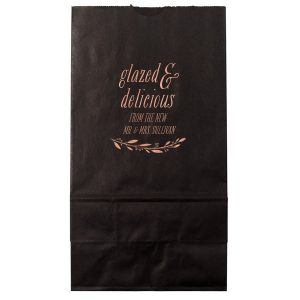 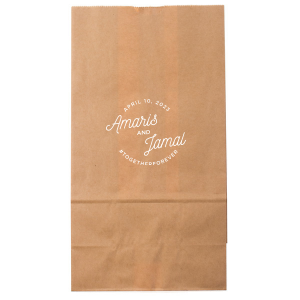 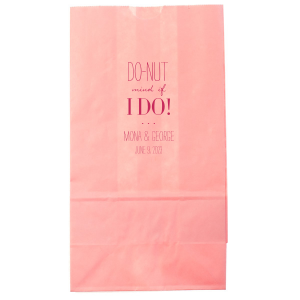 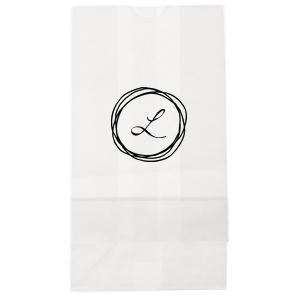 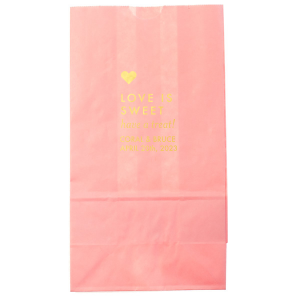 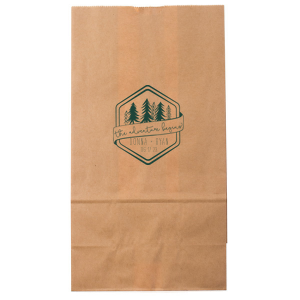 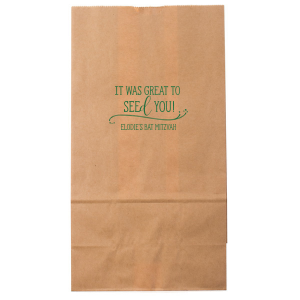 Make a lasting impression with your personalized wedding lunch bags!